The red in the photo has been intensified to obscure the vertical nature of the tree. 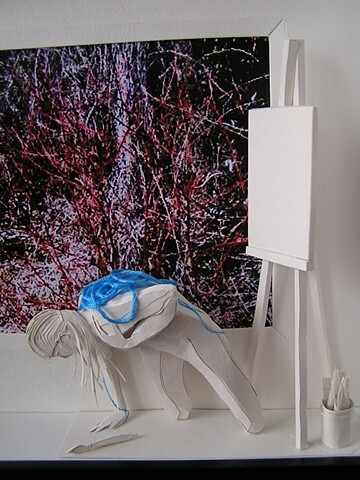 The intense blue string of pain obscures the vertical nature of the artist's perspective. In the installation this frame is between victory in frame3 and the tolerance of frame5 showing this cycle is never-ending and can shift on a whim. Inevitably she reaches for her art to overcome it.